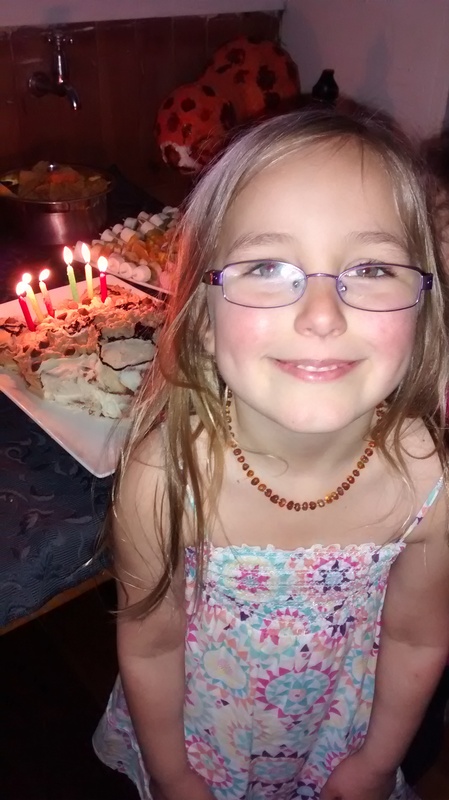 On Monday we celebrated Lauren’s 6th birthday – so crazy to think how fast the time has gone. She had a ball, and despite the rain we managed to entertain a dozen kids inside. Well, actually, they entertained themselves. For at least an hour there were 11 children squished into the bedroom between the bunks playing The Werewolves of Millers Hollow. Anyway, another successful party ticked off 🙂 We’re still waiting on her exemption to come through, and in the meantime, it’s business as usual. Well, not quite. Apparently the kids were all holding off on getting truly sick until after the party! They’ve been coughing up a storm since then, and we’re taking it easy while they get better. Hopefully tomorrow we’ll be well enough to go to the hall because I know the kids will want to see their friends. 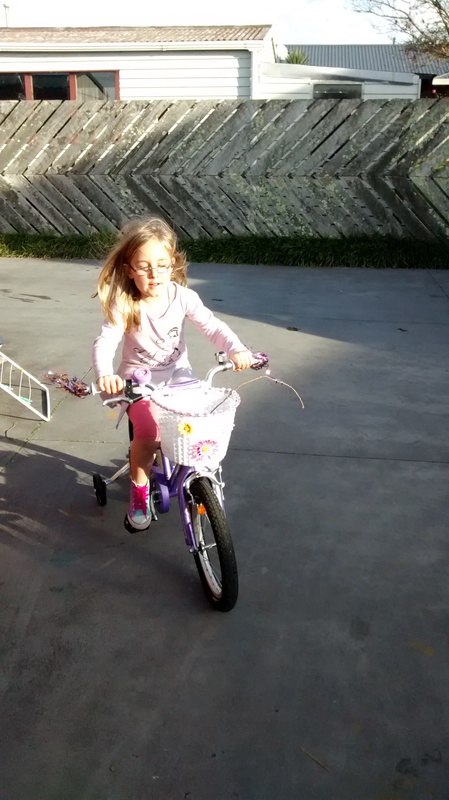 We were at a friends house a few months ago when Lauren decided it was time to learn to ride a bike. Now, we have zero concrete at our house and live on a busy road, so we don’t have any bikes or places to ride them at our house. 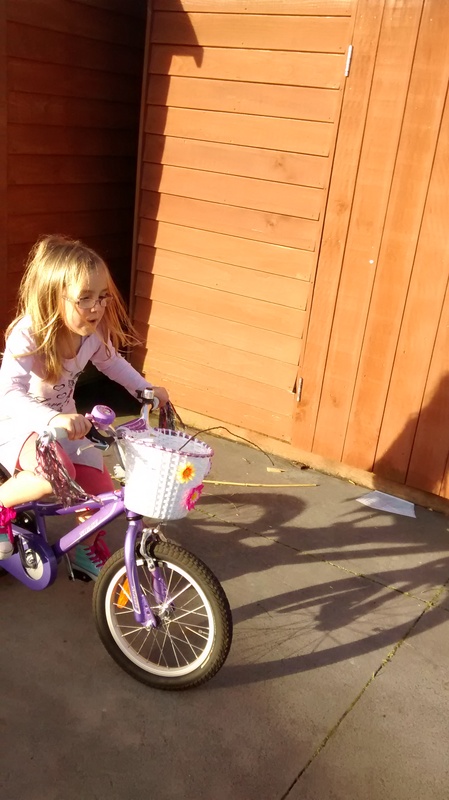 She’s literally never been on one before, and while I feel a little bad about that, we’ve just never been a biking family. Lauren didn’t stop until she got it. 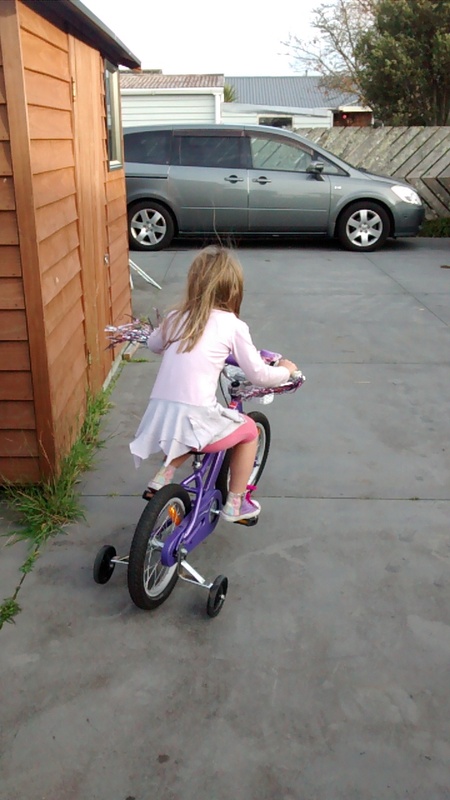 Despite the bike being a bit wobbly, and falling off multiple times as a result, she kept getting back on, kept at it until she was confident in her ability. She stuck at it for an hour or so, and even when it was time to go home kept asking for just one more round. I love it when she decides she wants to do something. Her sheer determination is something I’m delighted by, and the grin on her face, the look of pride when she masters something she set out to do is priceless. 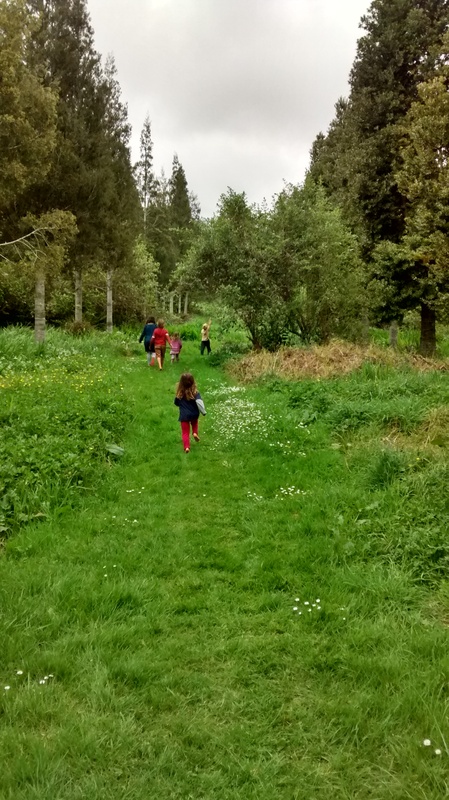 We started the day out with some pottering around home, then had our normal swimming trip. The families we normally swim couldn’t make it so we went a little earlier in order to come home for lunch before our first afternoon at the hall. The kids were so excited when I unlocked! Shiny, fun new space to make the most of! Two days a week where they are guaranteed to see their friends! 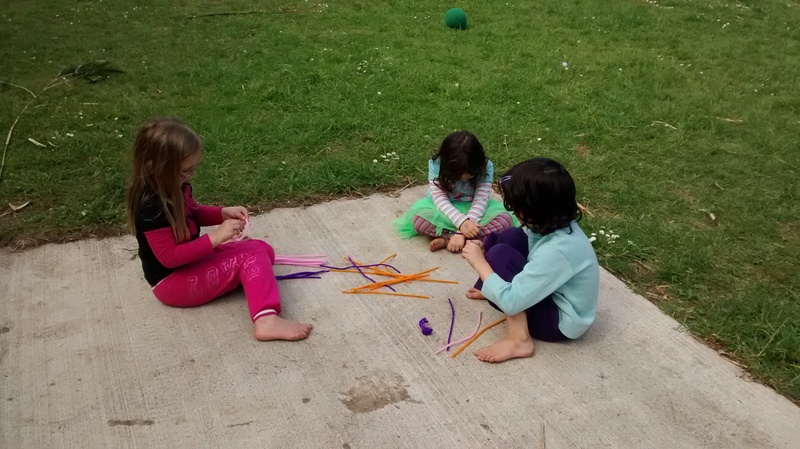 It was a slow stream in, and no-one was entirely sure what to do to begin with, but it wasn’t long before a range of games had cropped up and the kids reconnected with friends they hadn’t seen in a couple of weeks. As well as celebrating our first day at the hall, we also got to celebrate the birthday of not one, but two of our awesome mamas! So it was a pretty special day. 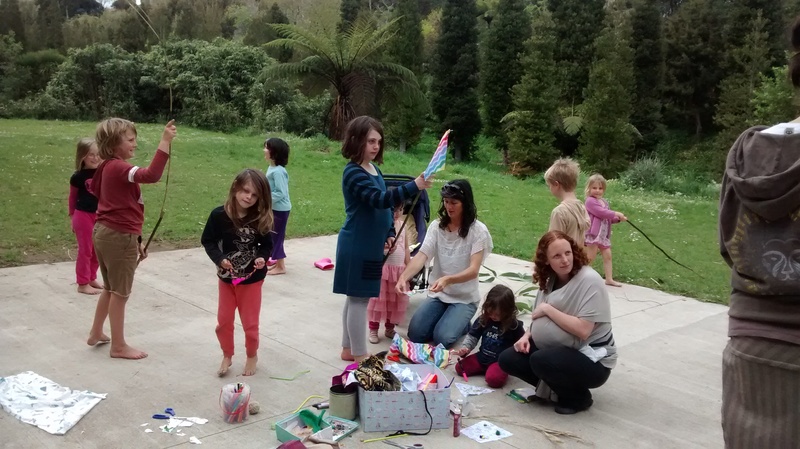 We brought some craft supplies and made some flags. The kids developed their own ideas as well, with some making jewelry, others turning pipe cleaners into keys, and Ivy making a tote out of a pillow slip I’d brought along. I can see lots of fun times ahead here. The kids can’t wait to get back there again and I almost said, yes, we’ll see everyone next week, then realized we only have to wait until Thursday! It’s just lovely to have a dedicated space with plenty of room for everything. On Friday I handed in the final assignment toward my Post Graduate Diploma in Education (Guidance and Counselling). I’m feeling pretty proud of myself for completing it because it’s been pretty hard slog some of the time, what with home schooling three kids as well. But I made it. These types of achievements always make me reflective, and I’ve been doing a lot of that over the past two days. Last night I was lying in bed thinking about how this feels like a really long time coming, even though I only started this particular course of study a little under three years ago. I could look back across the years and see that really, this path started when I was a child, I just had no idea. There are two strands that run through my life, stronger than all the others. One is my love of writing, and the other is my natural ability to be there for others. I was always the ‘buddy’ at school, never the aggressor, but never passive either. I was the confidant, the friend when you needed it, that person you could trust never to say anything, trust to still look you in the eye and respect you afterwards even when you weren’t sure you could respect yourself. I started my ‘career’ in counselling more officially when I trained to be a peer support person at school, and that unofficial role has followed me through life. I do it naturally, I find it hard not to. I strive to see the good in everyone and to help them see their way through the rough patches, see that they can move on, move forward. But that was just something you did in your spare time. It wasn’t a career. I was just a ‘good friend’ and there isn’t a job for that. Not one that would make me any money. I can recall writing stories non stop as a child. I remember always going way bigger with my ideas than anyone else in my class, always being the one who spun the tale, invented the backstory and characters for games played with cousins across long summer afternoons. As soon as we got a computer I started using it, spending an hour or more writing novels as soon as I got home from high school. I can still feel the nervous excitement at printing one out and passing it to my art teacher to read, seeing that encouraging expression on her face which said she really wanted to like it but thought she might not, and then witnessing her genuine response when she handed it back and acknowledged that I actually had a good story there. I have always told stories. But, I was always by everyone told that I could never make a job out of it, it could only ever be a hobby, so I better pick something else. I never know what that was. Well, that’s what I believed anyway. I was told that the things I loved, the things I was naturally good at, passionate about, driven to do, were not good career choices. They were hobbies, or things to do on the side. I was not to put my future in the things that I love. My choices were not good enough. I had to pick again. Is it any wonder that I’ve never had a real career? I left high school and enrolled in business studies through the local Polytech because my high school guidance counsellor saw that I was good with maths, so I should do business. For lack of a better idea, I did as he suggested – everyone was so proud. I HATED it. I finished the year out, even though it was painful and I was miserable. And then I quit and got a job at a supermarket. Which I also hated. I moved to Palmerston North and did a Diploma in Design and Multimedia, which was great fun, but not really my thing. I never had the flair that others had. My creative passion was words, not images. I cross-credited my business papers towards a BA and planned to major in English and History. I could be a teacher. I’d loved learning at school, had an amazing history teacher who really challenged me and helped me thrive. But it was all pretty dry, and I soon put it on hold as life fell apart for a bit. I picked it back up again, and after my father commented that I’m always helping people out maybe I should get a degree in that so someone would actually pay me for it, that I opted to switch my double major from English/History to English/Psychology. And it was okay. I finished it. Graduated. But psychology was too much science for me, and not enough about being with people. Not ground roots enough for me. I had kids, and I think that’s where things really changed for me because I began to understand that I didn’t want any of this for my kids. If they had a passion, I wanted them to follow it, but in order for that to happen I had to SHOW them the way. I began to write more seriously. In the days when they napped it was pretty easy to keep at it. I got some stories published. I won an award for my editing. I raised some funds for charity. I made the short list for a short story award. I’m actually pretty good at this thing I love so much, this thing which keeps me going even in my darkest days. And the kids can see the books on the bookshelf to prove it. They can see the award sitting on my desk. More importantly they can see the fire in my eyes when I talk story, when I engage with their worlds, when I want to hear what’s going on in their heads. And then a few years ago I decided that I finally wanted to do something about becoming a counsellor for real. 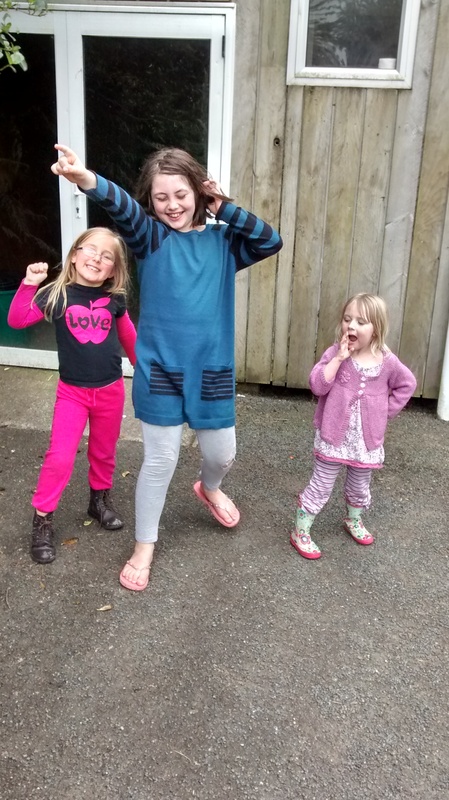 I started some training through Lifeline, but it was just after things started to go sour for Ivy at school, so as much as it crushed me I opted out of that – for all the right reasons if you ask me. However, it spurred me to enrol in Uni again and now three years later I am finished. I can’t go out and work as a counsellor right now. I’m too busy home schooling after all 😉 But I have some invaluable tools, and I plan to do my Masters further down the track, and the kids have seen this example of their mother, following her passions, working hard, really hard, to achieve something. And the grin on my face, the pride shining in my eyes, that will stick with them. I can’t wait to attend graduation next year. I want, so badly, for them to know that it’s okay to pursue their passions no matter what they are. I will never be the mother that says ‘no, that won’t make you any money’, or the one that says ‘you need a backup plan’, or any of the other lines I heard a million times. I’m going to be behind there, cheering them on, helping them make the right choices to get to their goals, and I know, without any doubt, that they’ll have this all figured out a whole lot earlier than I did. It doesn’t matter if they don’t earn a massive wage, because real happiness cannot be found in a large bank account statement. Lauren beckoned me over to her the other night and made me lean in close, a glimmer in her eyes and a grin playing on her lips. She cupped her hands around my ear and whispered, “I can read some words now”. It was a beautiful moment. She was so proud of herself, so pleased at her progress – and totally justified in those things. It was an interesting contrast to me. I remember when Ivy learned to read at school and how she didn’t ask questions, never pushed past the story on the page or embellished, adding her own details that made it more interesting to her, and I wonder if this is a reflection of the way I’ve changed, more than anything else. 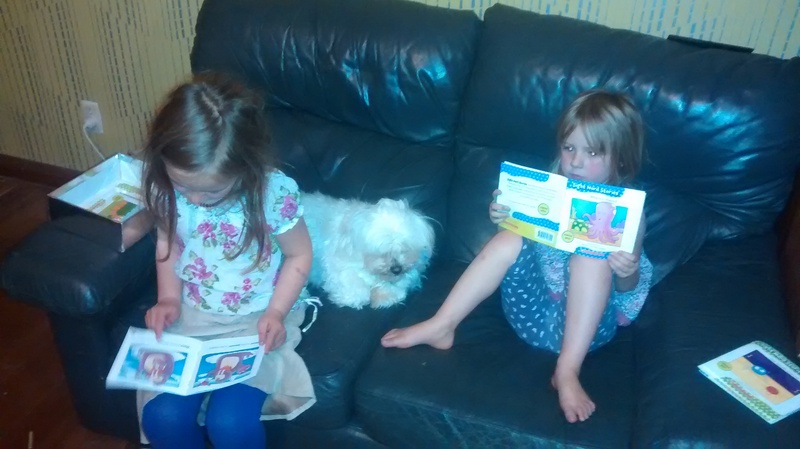 After she read the stories the ‘right’ way she went back and made up her own, adding things to her hearts content, and then passed the books on to Natalie who mimicked her big sister – I can see that they will be learning to read fairly close together if this continues, an unexpected benefit of having kids less than two years apart. 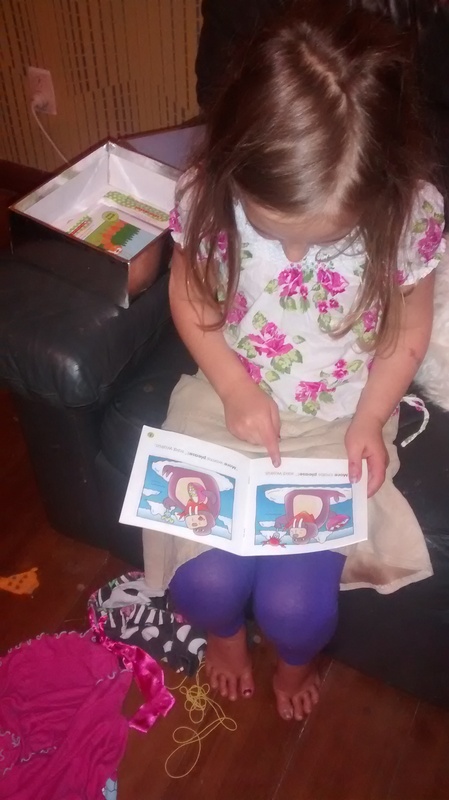 Natalie never likes to be left out of anything, and Lauren is kind enough to want to help teach her little sister. Yesterday I finally sent off my application for an exemption for Lauren. It’s been weeks in the making and between assignment pressure and the regular busyness of life it took a lot longer than I had wanted. 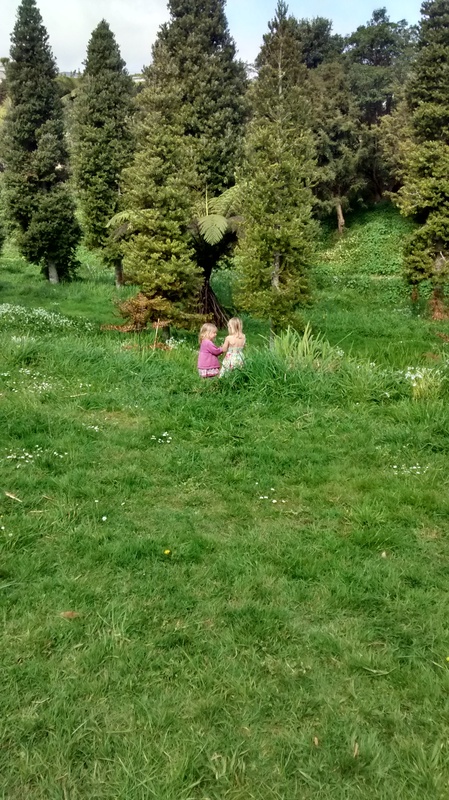 Let me tell you, writing one for the second child is no easier than writing one for the first. Of course, I am more confident than ever that our approach works. I’ve seen it in action, more so in this last year than in our first as home schoolers. I’ve watched our amazing children blossom and shine, and come into their own in ways I had not expected. These things however are not so easy to translate into a letter of application. An application which is written in a way that makes me feel like nothing I write is going to be good enough. Its intimidating, to say the least. Which is sad really. I know these kids better than anyone else in the world. I can tailor their learning experiences to meet their needs in a very specific way that no regular school can. 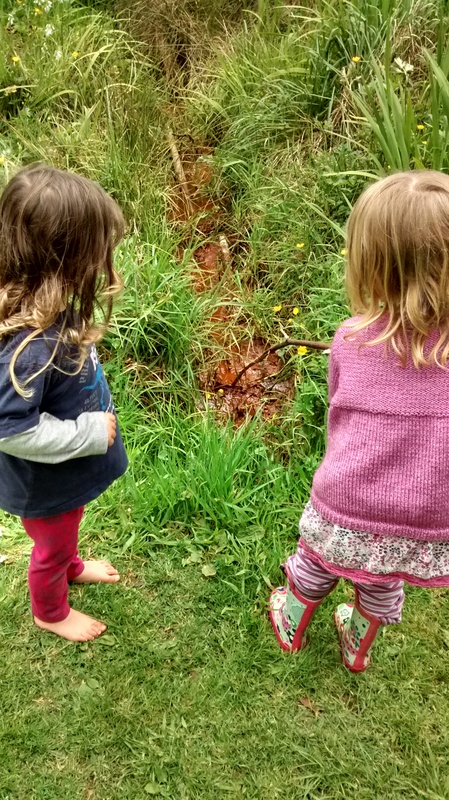 No matter how well intentioned or amazing a teacher is, they can’t give my kids the things I give them – freedom to move when needed, freedom to explore their interests until they’ve exhausted the well of questions or curiosity, a tiny teacher to student ratio, not to mention all the other benefits like hugs at any time of the day, or quiet time when they need it no matter where we are. It makes me feel queasy that someone might deem my application not good enough. While logically I know it should be okay, I can’t help but worry. I do the same with assignments for University lol I haven’t failed anything yet (and I have just one assignment remaining in my Post Grad Dip in Education), but that thread of anxiety is still there, every single time. Well, all we can do is wait now. Wait and continue to do what we’re doing. Keep enjoying life and learning every day. After the bush walk (Part 1), we ventured down to the cow shed. 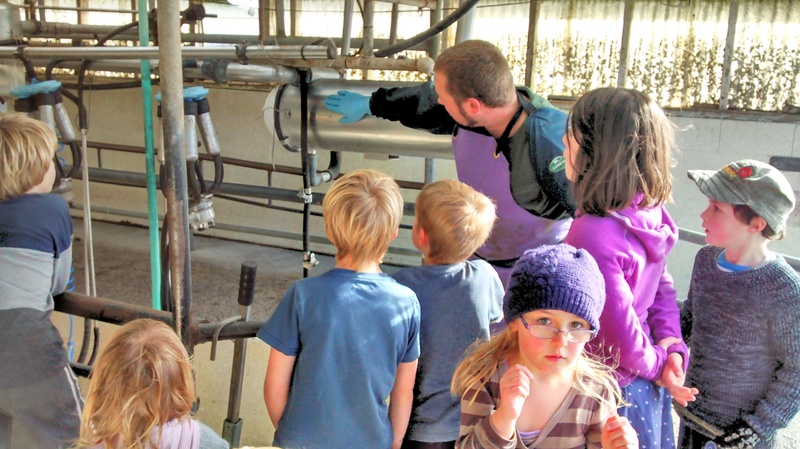 There were about 5 cows who had lost their calves and so needed milking, and the small number meant it was the perfect opportunity to show the kids what it was all about. 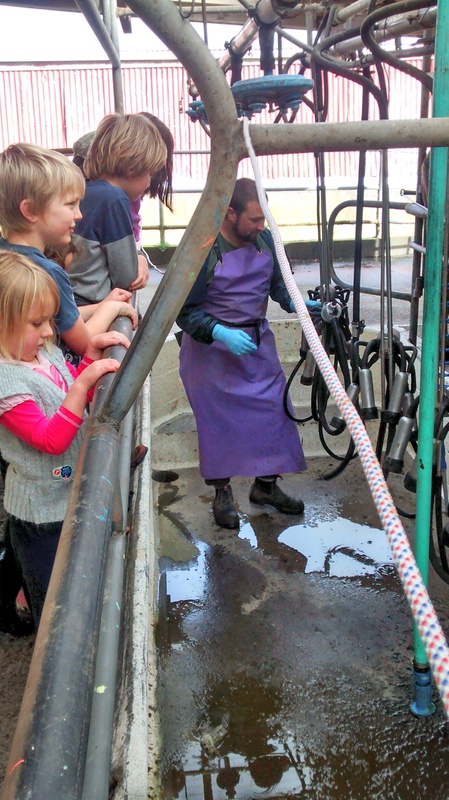 We started off with Sam explaining to the kids what happens to the milk once it comes out of the cows. We followed the pipes through into the room where all the equipment was and he answered a million questions about from the kids about the process and what each piece of equipment was for. Even for the couple that aren’t so good with loud noises, they stayed and listened to the whole thing (though, covered their ears at times). They were really interested in the process. 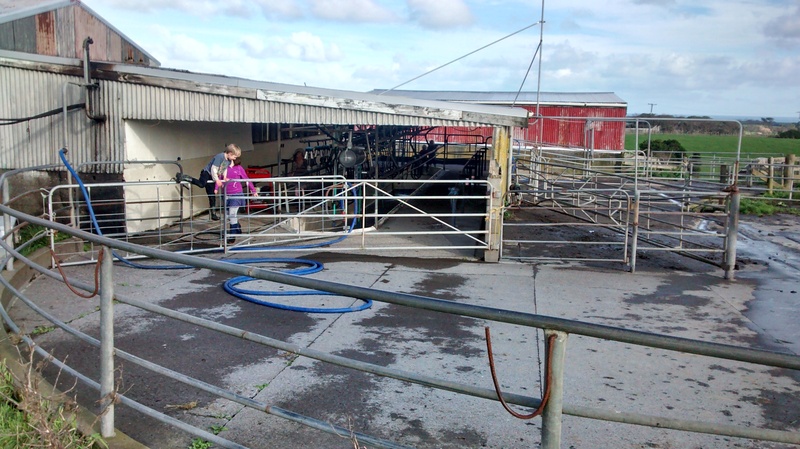 After that it was back into the shed where Sam brought the cows in and lined them up – it was here that we learned possibly the piece of information that will stay with us all the longest! 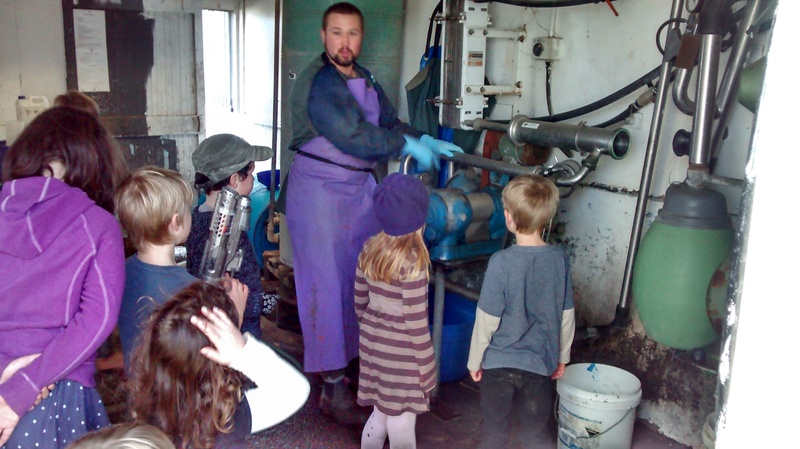 When a cow is scared, it poops – Sam explained this after the kids were making a bit too much noise and frightened them. They all watched with interest as he put the cups on and showed them the difference between a cow with a full udder and an empty udder, and reminded them again of where the milk goes. Overall it was an awesome trip. The kids asked a lot of questions and really made the most of the experience. I don’t think any of them had been in a shed before, and despite the noise and mess they were all really engaged.